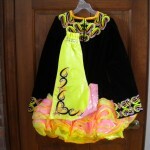 Beautiful one year old Shauna Shiels dress for a slim 12-13 year old. 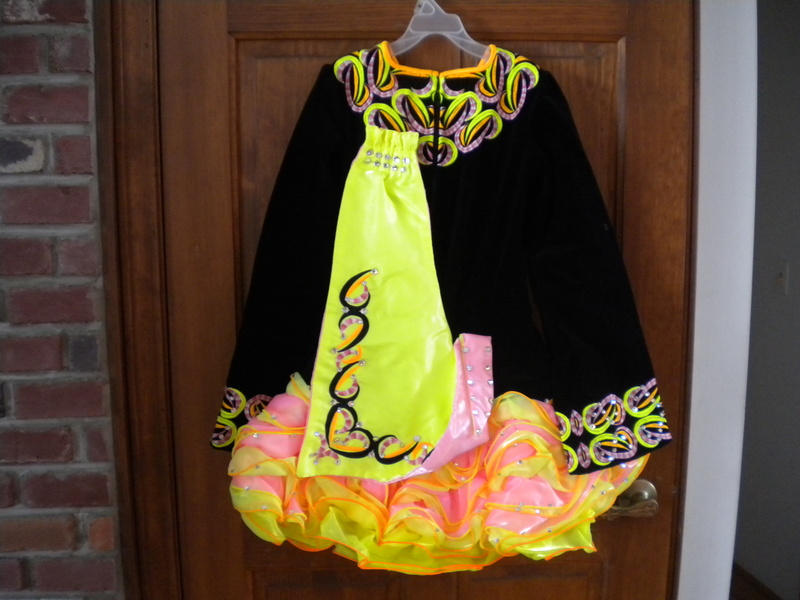 We are the original owners and dress is being sold due to dancer out growing it. 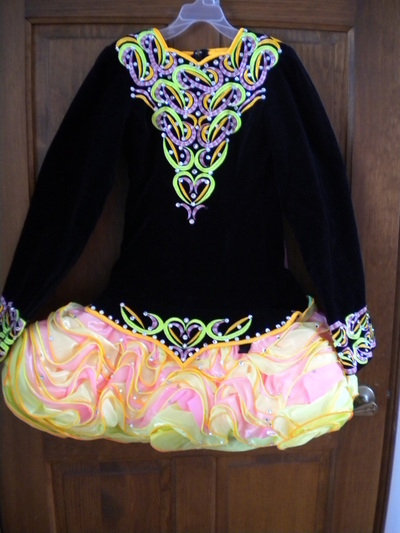 This black velvet dress is covered in hundreds of Swarovski crystals, along with a multi-colored skirt that has a wonderful stage presence. It comes from a smoke-free home. Included are black kickpants and matching headband.